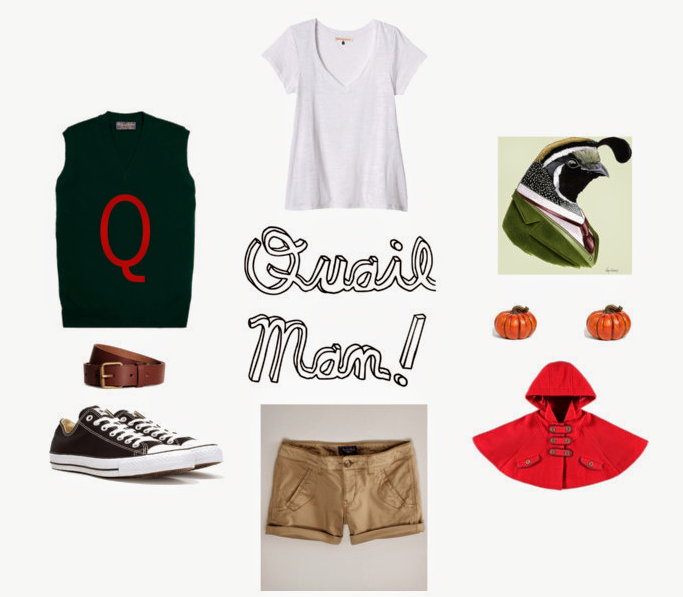 This Halloween I'm going as Quail Man!!! I know you guys know who I'm talking about, but just in case you don't it's a character from Doug. I mean I could've gone as Jack Bandit or Smash Adams but I already have all the clothing in my closet so it's just a matter of creatively putting it together! Excited? You bet I am! Wanna be Quail Man too?